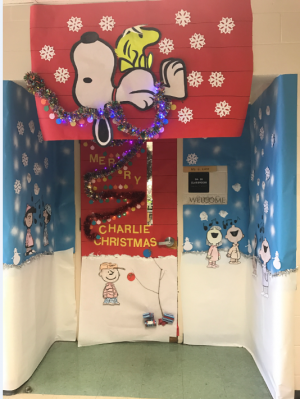 Along with the school’s Winter Week dress up days and festivities, leadership held a door decorating contest for the whole administration and staff to participate in. 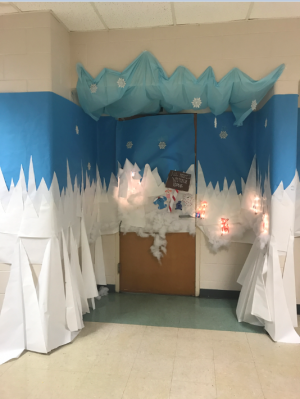 While many teachers did a classic look by decorating their doors to look like gifts, some teachers gave their doors themes. Science teacher, Ms. Verzaro did a “ Rudolph the Red-Nosed Reindeer and the Island of Misfit Toys” theme. 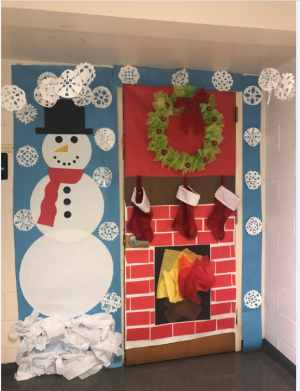 Ms. Middleton decorated her door to look like a fireplace and complimented it with a snowman. 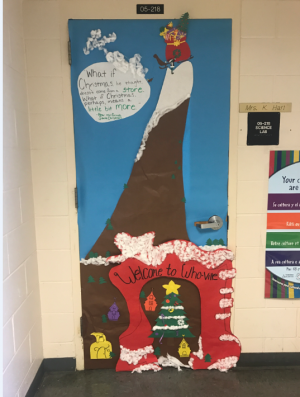 As for the runner ups, Mrs. Hart had a “How the Grinch Stole Christmas” themed door, while Mrs. Lorde had a “Charlie Brown Christmas” theme. 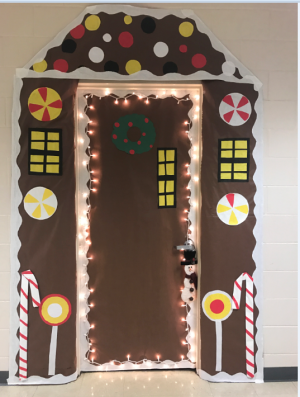 The grand prize winner was Mrs. Garcia who decorated her door to look like a gingerbread house, accompanied with Christmas lights. 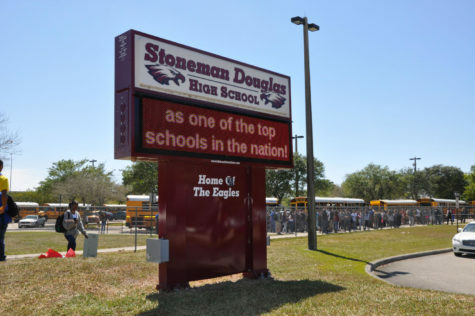 The doors were admired by all of the students throughout the week.